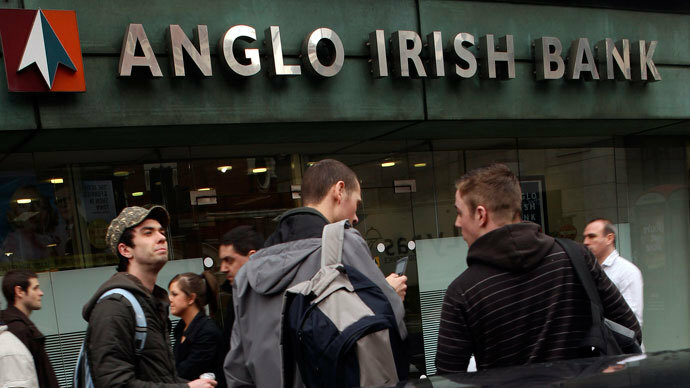 Irish officials has promised a state investigation into the 'arrogant' actions of Anglo Irish Bank, in which executives allegedly covered up their losses in order to secure large bail-outs from the government in the 2008-2009 financial crisis. The Irish public must learn the full truth of how Anglo Irish Bank deceived government officials and nearly led Ireland to bankruptcy, Prime Minister Kenny told lawmakers Tuesday. "Believe you me, I understand the rage and the anger of so many people who have been affected by all of this," said Kenny. The Prime Minister’s terse words follow a scandal that broke out after a leaked recording capturing a 2008 conversation of two senior Anglo managers was published by The Independent on Monday in which their plot to conspire to conceal the bank's true scale of losses was revealed. The internally recorded phone calls reveal how bank bosses misled the Central Bank of Ireland that Anglo bank required 7 billion euros to prevent its collapse. 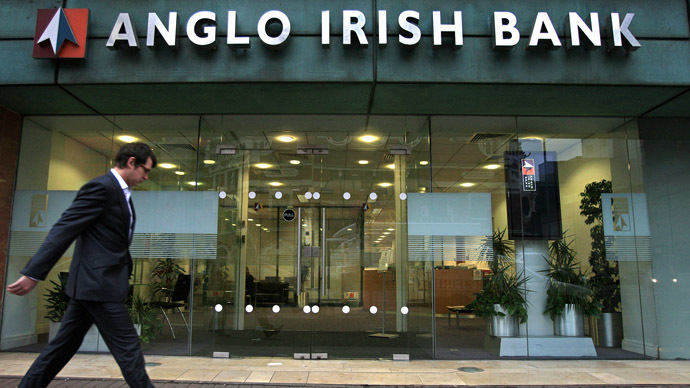 Anglo's losses reached 30 billion euros, nearly half of a total bank-bailout bill that forced Ireland to seek IMF bailout money. "I mean the degree of arrogance, the degree of hubris, the degree of couldn't-care-less-about-the-taxpayer, about the Irish people, that seemed to be part and parcel of the culture of that bank," deputy prime minister Eamon Gilmore said. Gilmore said the tapped phone recordings could 'complicate' Dublin's negotiations in receiving crisis-relief funds. “It makes it more difficult, of course it does, but we’re going to continue to work to get the best possible outcome for the Irish taxpayer,” Mr Gilmore said. 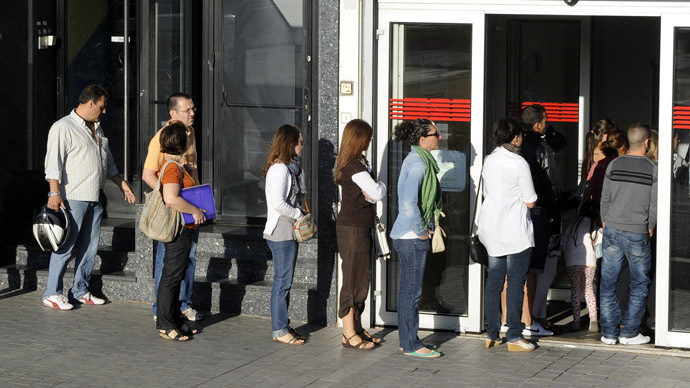 The parliamant's plan at present is to use €500 billion of the bailout money to recapitalize the country's banks, but the recent scandal may derail this vision. The recordings contained lewd language in which two executives at the Anglo Irish Bank were recorded as they joked about their ability to convince lawmakers to invest in a bank they knew was failing, citing figures they had 'picked out of my arse' - with no plans on paying back the government. John Bowe, the head of capital markets for Anglo Irish, was recorded laughing as he explained to Peter Fitzgerald, the former head of banking, how Anglo Irish had fleeced the Irish government into providing billions of euro to keep the bank solvent. The government will launch an investigation into the disastrous bailout of Anglo Irish Bank, which was the first bank to receive a government bail out which cost Irish taxpayers nearly $40 billion. Ireland has yet to fully recover from the financial crisis, and has been hit especially hard by austerity measures. “Correct and right. So OK, so just keep nursing along . 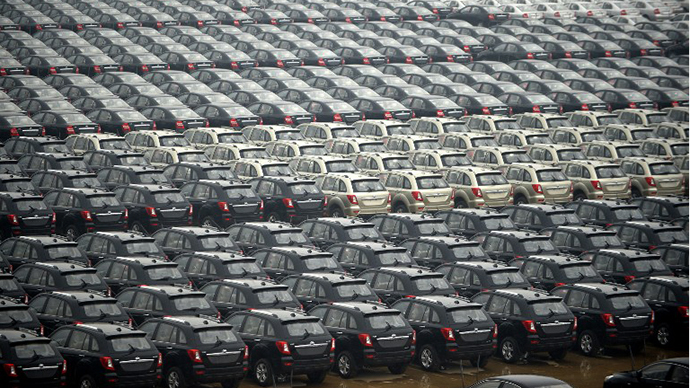 . . jack the [interest] rates up. That’s what I really meant, get the f***in’ money in, get it in,” he said. The revelation that one of its national banks intentionally may have worsened the Irish economy in a time of national crisis, has shocked many.